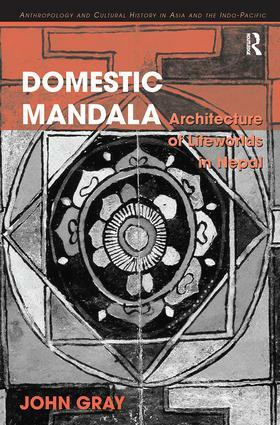 Contents: Introduction: domestic space, activities and experience of the Cosmos; The sacred house: domestic space as Mandala; The auspicious house: materials, design and orientation; The constructed house: ritual creation of domestic space; The revelatory house: dwelling in the domestic Mandala; The matrimonial house: ritual appropriation of domestic space; Conclusion: architechne; Glossary; Bibliography; Index. John Gray is Professor of Anthropology and Head of the School of Social Sciences at the University of Adelaide in Australia. He has two sites of long standing ethnographic fieldwork-a multi-caste village in the Kathmandu Valley, Nepal and a sheep farming locality in the Scottish Borders. Each has led to the publication of a monograph.